Hockey: Indy Fuel versus Cincinnati Cyclones - Blackhawk Night! You are here: Home / Hockey: Indy Fuel versus Cincinnati Cyclones - Blackhawk Night! More About Hockey: Indy Fuel versus Cincinnati Cyclones - Blackhawk Night! 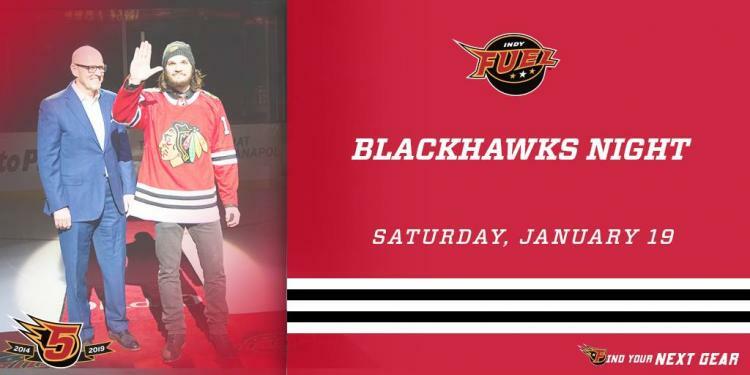 Blackhawks Night: The Madhouse on Madison returns to Indianapolis as the Fuel celebrate their NHL affiliate in Chicago! A Blackhawks legend will be in attendance, along with other Chicago hockey personalities – including iconic anthem singer Jim Cornelison!